Some states don't let you hunt fall turkeys. Many more do. I'm told by insiders wild turkeys live in southern Alaska. Still, no fall (or spring) turkey season is offered here. Plenty of other birds and animals to hunt though. Back in 2009, the Arkansas Game and Fish Commission abruptly cancelled the fall turkey season, even after it was officially listed in the lawbook. Low kill numbers and poor hatches were cited. This hinted at declining flock populations, now estimated at "130,000 to 140,000" according to the National Wild Turkey Federation (NWTF). Truth is, available spring season dates are fairly short when compared to some other states. On the upside, the estimated Delaware turkey populations are up 2,000 from last year (6,000 as of this writing). So there's that. All in all though, turkey hunting opportunities are less than stellar. So no fall season is offered. Home to Realtree's headquarters, Georgia is one fine turkey hunting state to visit in spring. Fact is, management of its turkey hunting population is strictly a spring-oriented deal, and has been for a long time. 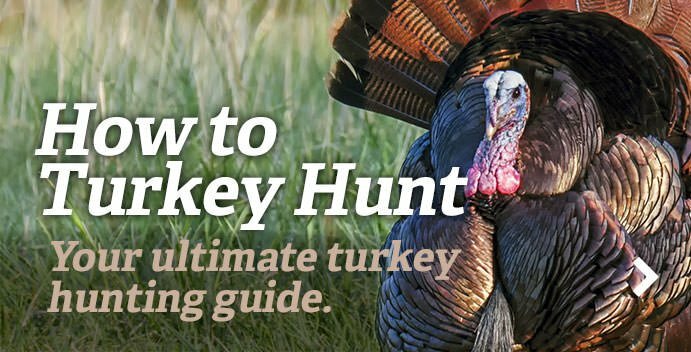 No fall turkey hunting seasons are offered in the state. The Georgia Department of Natural Resources even tells you why here. We love Louisiana for its people, lifestyle and culture. The state has a solid duck hunting tradition. And a spring turkey season. But no fall flock opportunities are offered. What's the first thing that comes to mind when you think about Nevada? I guarantee it's not wild turkeys or turkey hunting. It's likely Las Vegas, followed by maybe the SHOT Show if you're in the outdoor industry. Then again, Super Slam candidates – turkey hunters who try to kill a bird in all 49 states open to our great tradition – include it in their spring plans. With a current turkey population estimate of 1,200 birds, opportunities are limited, and none exist for fall turkeys. As of this writing, North Carolina has a little over twice the estimated wild turkey numbers (260,000) as its southern cousin South Carolina (120,000). The state has a rich turkey hunting tradition. And the state even had a short winter turkey season on the books not long ago, but not now. Good news is wild turkey numbers are steady after some challenging years. Home of the NWTF, South Carolina hunters had long enjoyed a generous bag limit of five spring turkeys. In some ways, they’d been the envy of some of us living in states with just a one- or two-bird limit. As turkey hunters know, it's been cut to just three gobblers per season (check Wildlife Management Areas for other regulations). Still, that's a higher season limit than other spring states around the country, perhaps owing to the fact they offer no fall turkey hunting? Agree? Disagree? Comment below.